Architecture is a space — constructed and experienced — in a building, in the city or in the landscape. How we use a space is very different. However, we always want to get as much as we can from a space; which requires that every option is taken into consideration. A certain space can be inspiring, appealing or just the opposite. «Just like music moves us, the same goes for a space,» says Paw Stryhn, Partner at We Make Space. A space can move us and make us feel a certain way. Therefore, if you want to create a sense of calm in the middle of a big space it is becoming popular to create smaller spaces within the space, so that you feel like the space embraces you and offers a place to withdraw to. Within architecture, we are beginning to see a tendency for spaces emerging from within another space. 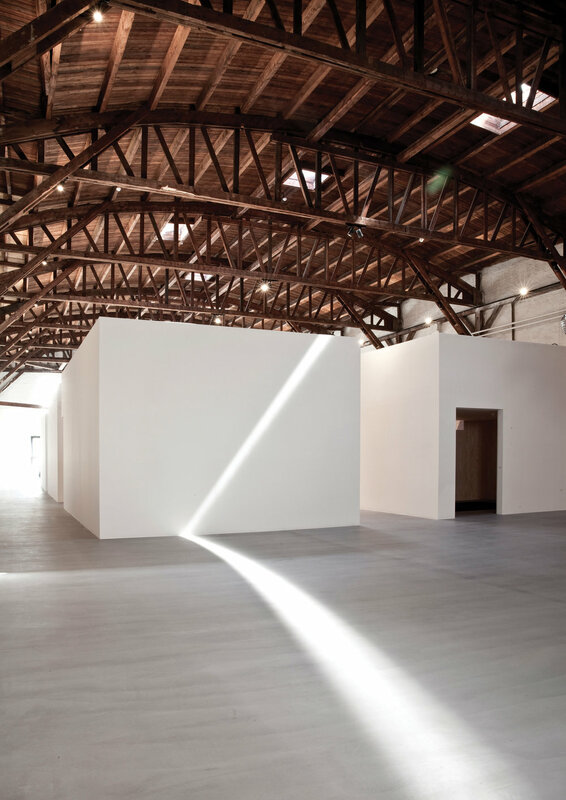 A good example of this is &Tradition’s new showroom on Paper Island in Copenhagen that consists of 12 minimalist houses inside an old rustic warehouse. It is designed by Norm Architects and is called “The Village”. With these 12 houses Norm Architects have provided &Tradition with the opportunity to showcase their furniture and lighting pieces in different environments, creating different moods and experiences. When you are studying, it is always important to be able to withdraw from the hectic school environment and immerse yourself in your work. AART architects have created the IGLOO concept, which is designed for VUC Syd, an adult education centre in Jutland. 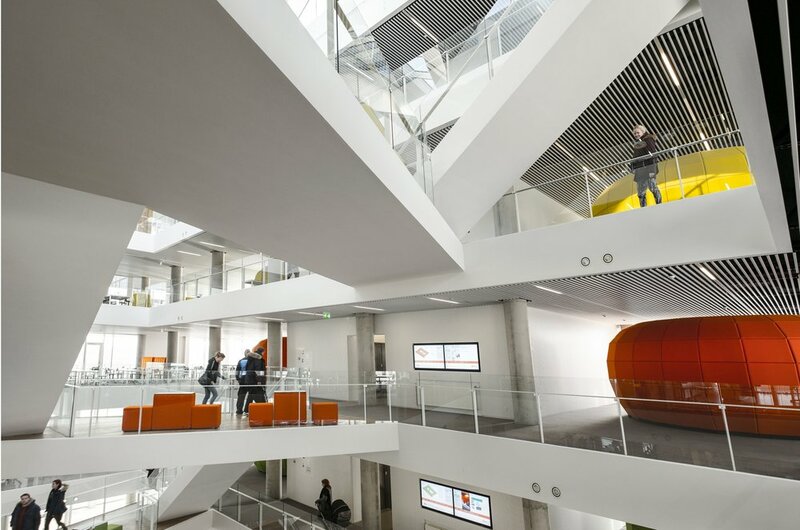 There are numerous examples of areas in a learning facility that have been designed by architects to give students small spaces to retract to. Henning Larsen Architects have designed the new University of Southern Denmark in Kolding, where you also find different areas emerging from within the large-scaled space. They have done the same at Campus Roskilde and at Umeaa School of Architecture in Sweden. Another example is Schmidt Hammer Lassen architect’s project IBC Innovation Factory in Kolding. A project in the making is C.F. 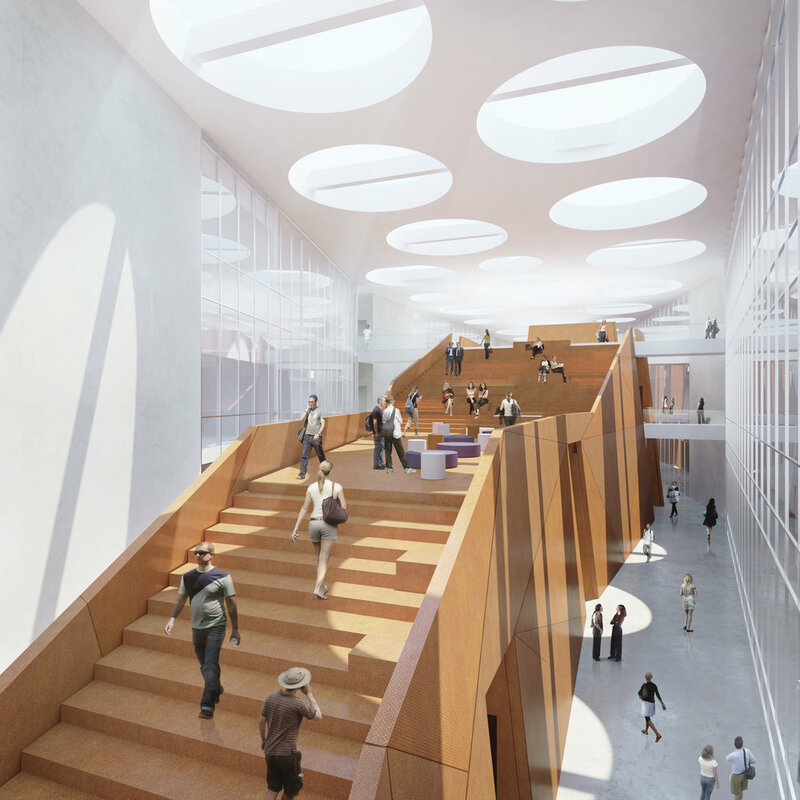 Møller Architects design of the new Technical Faculty, which is a part of the University of Southern Denmark in Odense. At the heart of the house they have designed a ‘piece of furniture’ containing common functions and meeting-rooms. It is a massive staircase that also gives you access to a roof garden and a café. Not only is the stair a necessity in the space, it has several purposes. 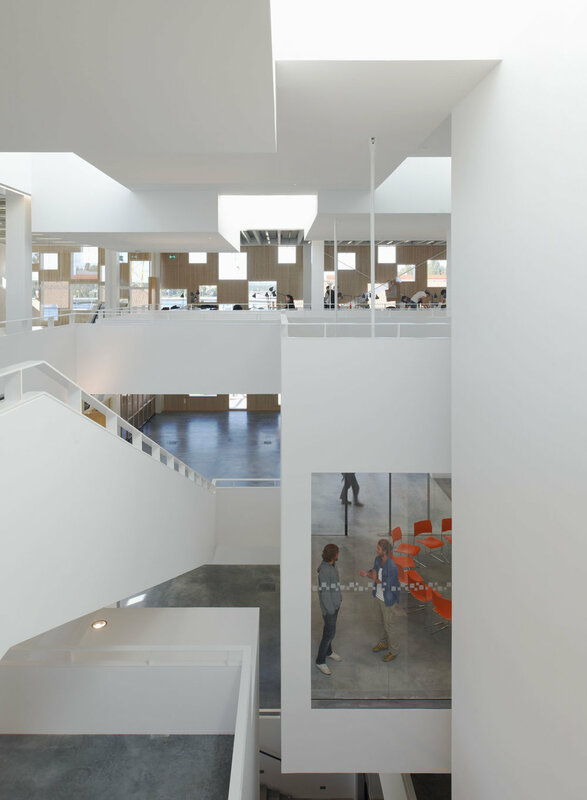 It highlights the indisputable focus on architecture that the entire building oozes of; well thought-out architecture that both pleases the eye as well as serves a greater purpose. The Technical Faculty will be ready for the beginning of the next semester in September 2017. 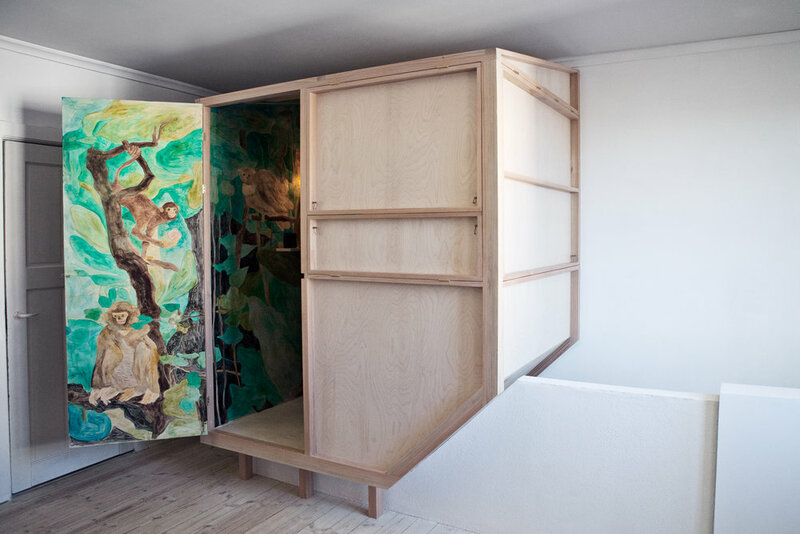 Julien Franc Wahlgreen took on the challenge of creating a room within a room for the small home. ‘La Cabane’ is an answer to the main challenge of working from home. 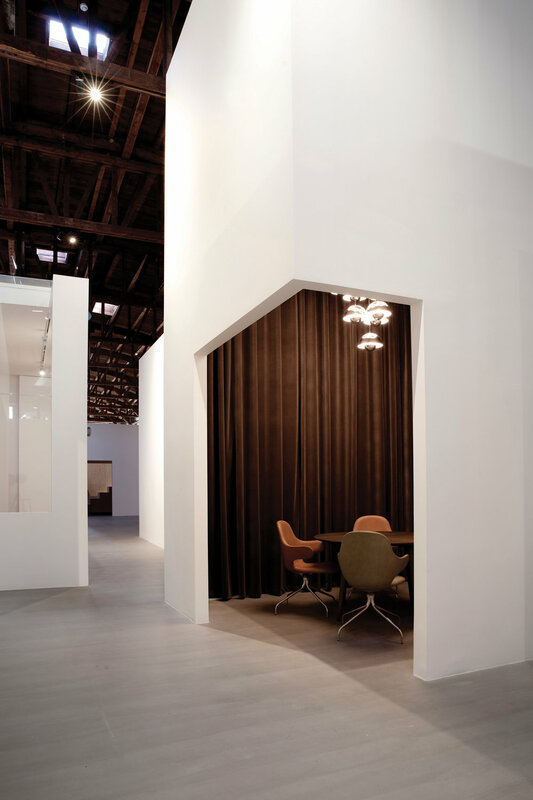 It creates a space that allows you to separate work and private life, a room that you can withdraw to. As soon as you open the doors to the space you go to work, and you leave it again when you close the doors and return to family life.